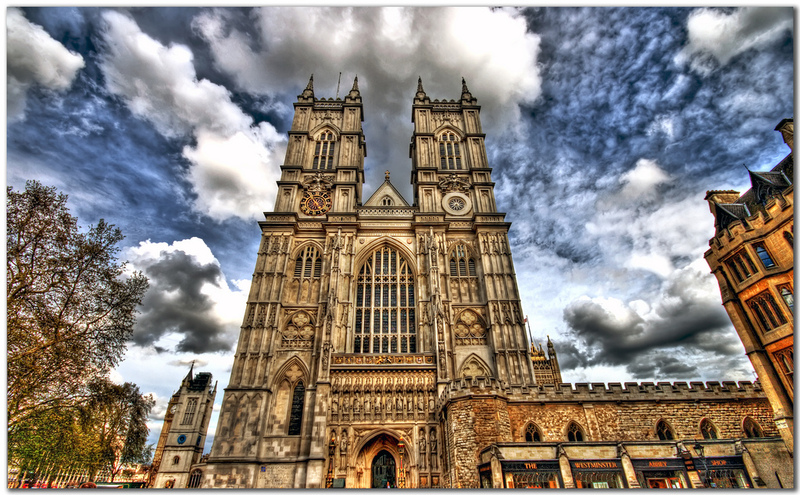 Westminster Abbey by vgm8383. Image licensed under Creative Commons Attribution-NoDerivs 2.0 Generic license. 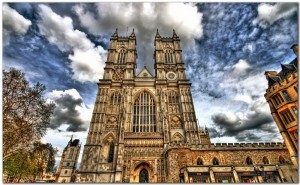 Some Abbey funerals are noteworthy. Irish Archbishop James Ussher, not a scientist by modern standards, perhaps, but judged to be one in his time, was buried here in 1656 (in the Chapel of St. Paul). 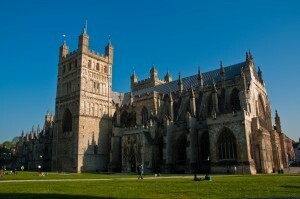 It was the time of the Puritan Commonwealth, but Oliver Cromwell ordered that the Anglican funeral service, then normally forbidden, should be used in deference to Ussher’s status. Newton’s funeral in 1727 was attended by Voltaire and has been described by him-the body lay in state in the Jerusalem Chamber (public access through the Deanery) and was followed to its grave by all of the Fellows of the Royal Society. The 1912 funeral service for surgeon Lord Lister (memorial in the North Choir aisle) has been described by Sir William Osler-the Abbey was packed to the door with nurses, students, and doctors, and there were reserved seats for representatives from all over Europe. We know of no scientist who was refused admission, as Lord Byron was when his funeral cortège reached the door in 1824-poetic genius eventually won out over moral objections, and a memorial was erected for him in 1969. La Mezquita at Cordoba by kevinpoh. Image licensed under Creative Commons Attribution-NoDerivs 2.0 Generic license. 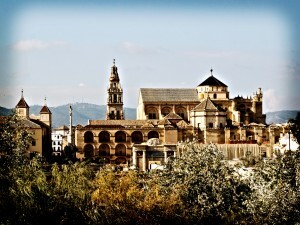 In Cordoba we can feel closer than in any other Spanish city to erstwhile Islamic intellectual activity. For one thing, the city was the birthplace of the two greatest philosophers of the twelfth century, Ibn Rushd (who remained here for most of his life) and Maimonides (who moved to Cairo as a youth). For another, the Mezquita, the great mosque, has been preserved in all its grandeur – unfortunately with a garish Christian church built within its walls, making for a truly bizarre combination of architectural styles. And the mosque is undoubtedly where teachers and pupils would gather for discussion and where scribes would make their copies, for classrooms and libraries lay normally within the precincts of mosques. Adjacent to the Mezquita is the old Jewish quarter (Juderia) , with narrow streets filled with lively crowds and, on summer evenings, the gay sound of guitars and flamenco dancers. There is a Plaza de Maimonides here and a statue of Maim on ides in the Plaza de Tiberiades. There is a statue of Averroes (Ibn Rushd) in the loco, where craftsmen now have their stalls. There is also a municipal museum, but don’t expect any reverence there for the golden years of yore-the museum is devoted almost exclusively to bullfighting and to Cordoba’s famous matadors. 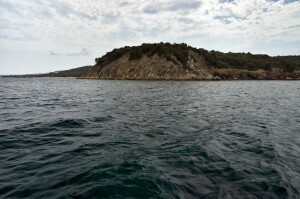 Small waves on a boat ride around Ammouliani by Horia Varlan. Image licensed under Creative Commons Attribution-NoDerivs 2.0 Generic license. The Halkadiki Peninsula lies in Macedonia, the northeastern portion of Greece and one of the most attractive parts of the country. The peninsula is studded with small fishing villages along the coast, and inland are thickly wooded hills, high mountain passes, and magnificent views. Three long narrow fingers jut out into the Aegean Sea and on one of them stands Mount Athos, 6,500 feet (2,000 m) high, the center of an incredible medieval relic, a monastic community utterly cut off from the world. Women, children, and eunuchs are forbidden; no roads enter. Male tourists are admitted, gaining access by boat from Ouranoupolis; a beard as proof of maleness is desirable, but no longer the absolute requirement that it used to be. 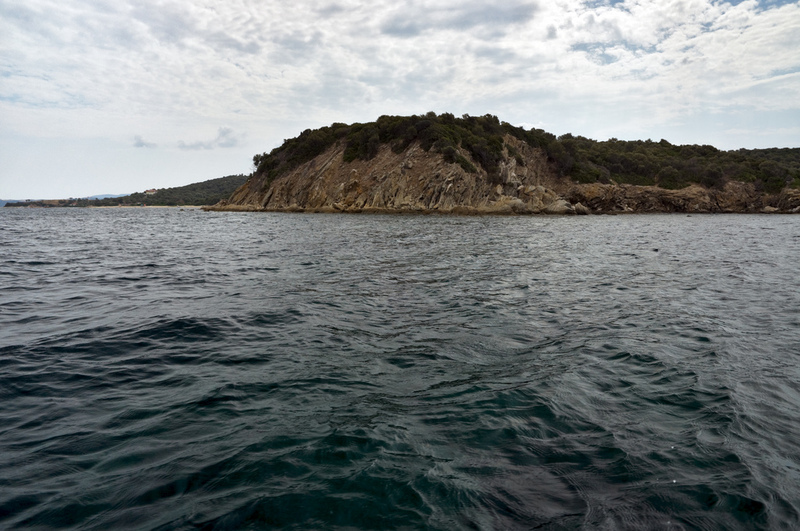 If you venture to this remote part of Greece, you will find yourself close to Stagira (or Stayira), the place where, in 384 B.C., the great Aristotle was born. The present town of that name, on the road from the coast inland to Arnea, has named a large park and picnic area after Aristotle, with a prominent (modern) White stone statue of the philosopher himself. However, the actual birthplace is not the present town but ancient Stagira, which was perched on high bluffs at the edge of the open sea, about 10 miles (15 km) away, just south of the present vi age of Olimbiada. There are signposts everywhere, beginning on the main coastal highway from Stavros toward Mount Athos, so that the site and the excavati cannot be missed. It is, of course, a long way to come and the ruins per se are less rewarding he many other archaeological sites. But can we really pass it by? Can we fail to moved at least a little by being on the very piece of land that nurtured the man whose thoughts and writings dominated Western academic institutions for so many centuries after he was dead? And made his Torch their Universal Night. The exultation he felt over what he saw as the then emerging downfall of Aristotelian dogma comes through loud and clear. View of the Ulster Hall from Bedford Street, after refurbishment in 2009. The Ulster Hall opened in May 1862 on Bedford Street, in the shadow of Belfast’s White Linen Hall – now the City Hall. The architect WJ Barre had beaten forty-one competitors to win the commission, despite his relative youth and inexperience. Barre’s design for the Hall included a simple exterior framed by a modest portico, and the apex of the building supported a coat of arms that included an Irish deer and wolfhound. 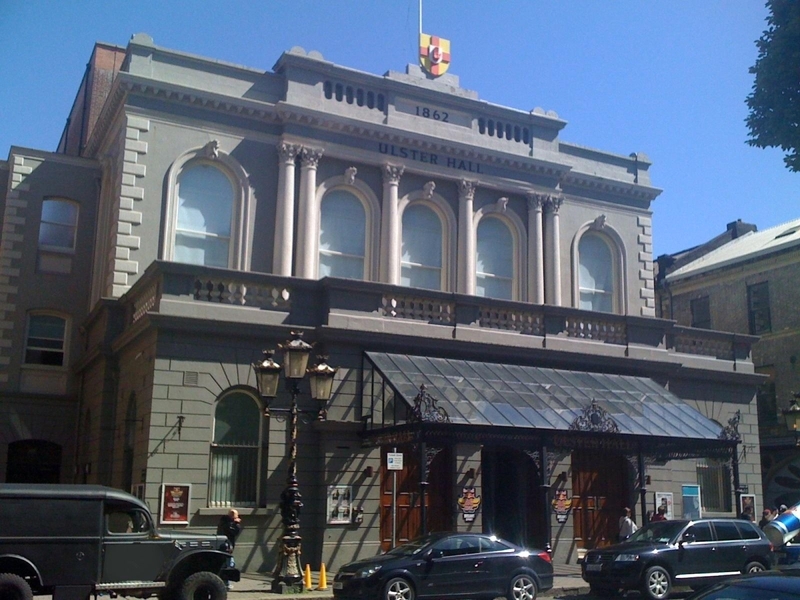 However, the Ulster Hall Company faced a severe shortage of funds during construction and Barre’s plans for an ‘opulent interior’ were replaced by a single coast of whitewash. Nevertheless, the ornamental was not totally neglected and the windows were adorned by small figurines of shamrocks, harps and other ‘emblems of Erin’. The monotonous hum of the spinning-jenny and the continuous clack of the power-loom can be hushed into silence, in order that the rich and poor, the manufacturer and the sons and daughters of toil, may meet-together beneath the arched roof…to spend there a few short hours of relaxation, pleasure and excitement. – ‘The Ulster Hall’, Belfast News Letter, May 13th 1862. Although designed for concerts and ‘grand balls’ the Ulster Hall frequently hosted banquets, itinerant speakers, sports events and exhibitions. For example, Charles Dickens read from A Christmas Carol and David Copperfield in 1869, while the evangelical preachers Moody and Sankey packed the auditorium in the 1870s, and the French actress Sarah Bernhardt thrilled a half-filled Ulster Hall in 1881. In 1909 the great Italian tenor Enrico Caruso entertained a large crowd, of mostly Harland and Wolffe shipbuilders, and the Hall hosted regular boxing bouts and dances for American Soldiers in the 1940s. However more notably, throughout its 150-year history the Hall has been indelibly linked to Ulster’s political struggles. 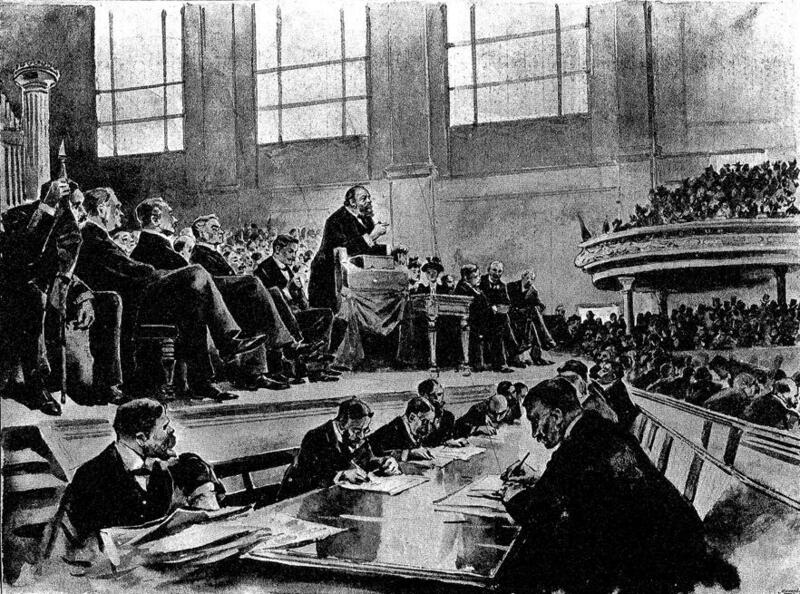 For example, Lord Randolph Churchill used the Hall to rally the Belfast public and members of the Orange Order against Gladstone’s first Home Rule Bill in 1886, urging that ‘Ulster will fight; Ulster will be right.’ Similarly, Ulster men and women led a ‘massive demonstration’ objecting to the third Home Rule Bill in the Hall prior to signing – some in their own blood – the Ulster Covenant in 1912. Also, from the 1960s onwards, a number of controversial political and paramilitary rallies were hosted in the Hall. However, what is less known in the Ulster Hall’s history is its role as the site of one of the most prominent encounters of Victorian science and religion – John Tyndall’s infamous ‘Belfast Address’. 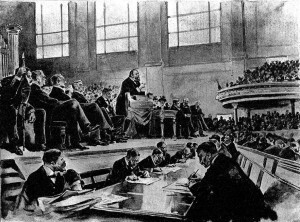 Lord Salisbury denouncing the second Home Rule Bill in the Ulster Hall, 1893. Image available in Public Domain. Tyndall, the Carlow-born physicist and Royal Institution lecturer was President of the fifty-fourth meeting of the British Association for the Advancement of Science, which met in Belfast in mid-September 1874. The Association’s annual presidential addresses were likened to ‘Queen’s speeches’, providing overviews of the year in science, and were eagerly anticipated. Tyndall, however, used his presidential address to deliver what was ‘widely interpreted as perhaps the chief pronouncement of scientific materialism in the nineteenth century’. 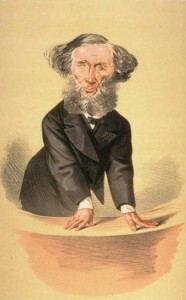 John Tyndall, Vanity Fair, 1872. Image available in Public Domain. Almost immediately, Tyndall’s ‘speculative materialism’ provoked an outcry. In Belfast, Presbyterian pulpits thundered replies to Tyndall’s ‘materialist manifesto’. The Rev. Robert Watts, whose own paper ‘An Irenicum: Or, a Plea for peace and Co-operation between Science and Theology’ had been refused a hearing at the British Association’s Biology Section, led the charge at his Fisherwick Place Church, close to the Ulster Hall. Similarly, at Rosemary Street Presbyterian Church the Rev. John MacNaughtan attacked both Tyndall’s materialism, and his abuse of the British Association’s presidential chair in making his remarks. 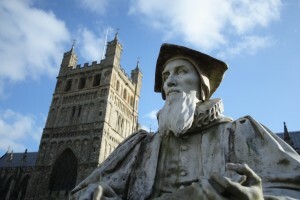 Such was the outrage that a whole series of winter lectures were planned to allay the damage done by Tyndall’s ‘frontal assault’ on Christianity. Ireland’s Catholic bishops, too, issued a pastoral letter attacking the blasphemous ‘professors of Materialism’, and there was widespread denunciation of Tyndall in the British periodical press. Belfast’s Ulster Hall was ‘metaphysically filled with the smell of Brimstone’ by Tyndall’s Address. 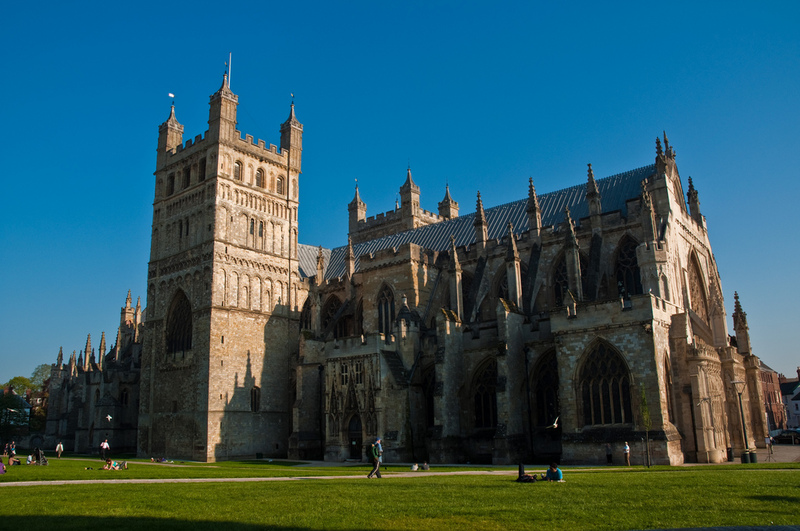 But more than that, the historian of science Frank Turner has suggested that Tyndall’s address was a catalyst in sparking ‘perhaps the most intense debate of the Victorian conflict of science and religion’. 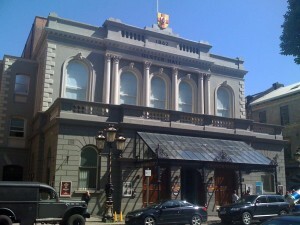 For more information on the Ulster Hall see http://www.belfastcity.gov.uk/ulsterhall/. Fisherwick Place Church relocated to the Malone Road in the 1890s, although the site is still occupied by the Presbyterian Church. Rosemary Street Presbyterian Church is in central Belfast. C Brett, Buildings of Belfast, 1700-1914, Second Edition, Belfast: Friar’s Bush Press, 1985. Ruth Barton, ‘John Tyndall, Pantheist: A Rereading of the Belfast Address,’ Osiris 3 (1987), pp. 111-134. Bernard Lightman, ‘Scientists as Materialists in the Periodical Press: Tyndall’s Belfast Address,’ in Geoffrey Cantor and Sally Shuttleworth (eds. ), Science Serialized: Representations of the Sciences in Nineteenth-Century Periodicals, Cambridge: MIT Press, (2004), pp. 199-237. David N. Livingstone, ‘Darwinism and Calvinism: The Belfast-Princeton Connection, ‘ Isis 83, (1992): 408-428. David N. Livingstone, ‘Darwin in Belfast’, in Nature in Ireland: A Scientific and Cultural History, John Foster (ed. ), Dublin: Lilliput Press, pp. 387-408. Frank Miller Turner, Contesting cultural authority, Cambridge: Cambridge University Press, (1993): 270.